If you didn’t know it by now, the BIG3 is an absolute gem. The 3-on-3 league created by Ice Cube is almost halfway through its second season, and it’s filled with former NBA stars who still have some leftover game. The summer circuit comes to a different city every week for 10 weeks, and its eight teams play quadrupleheaders on Fridays. 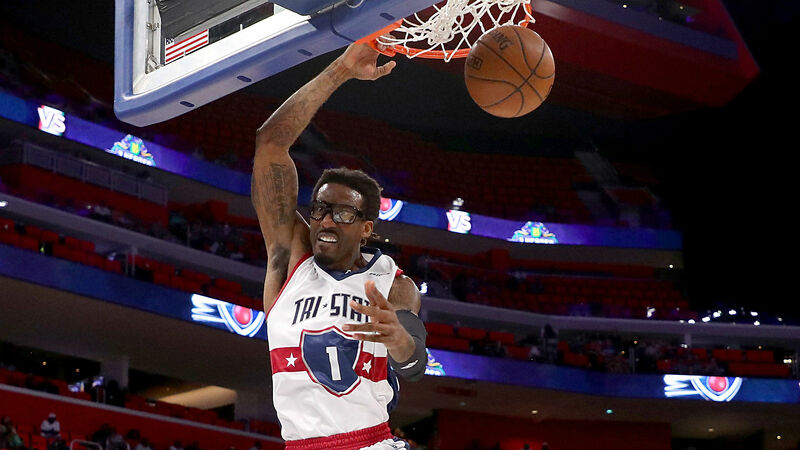 The fourth round of games took place at Detroit’s Little Caesars Arena, where those stars showed once more that they aren’t ready to slow down. Three seems to be the magic number for the league, with five of its teams (3’s Company, Killer 3’s, Trilogy, Tri-State, Three-Headed Monsters) incorporating that theme. Glen “Big Baby” Davis of Power and Carlos Boozer of the Ghost Ballers squared off in the final game of the night. It was quality hoops mixed with pure comedy. Boozer dominated with 15 points and 16 rebounds, but Power got the win as Corey Maggette scored a game-high 19 points to go with seven boards. Davis added 11 points (including a . . . wait for it . . . 3-pointer) and seven rebounds, while Chris “Birdman” Andersen scored three points in a brief appearance. Amar’e Stoudemire still has ABSOLUTELY NO CHILL. Metta World Peace of the Killer 3’s got the night started with a bang when he was ejected in the opening minutes of Game 1. The punt was nice, too. Looks like someone’s been watching the World Cup. A reminder for fans: Back when World Peace was known as Ron Artest, he was right in the middle of the Malice at the Palace on Nov. 19, 2004, when he playing for the Pacers against the Pistons in Auburn Hills. Mahmoud Abdul-Rauf will be hitting the half-century mark soon, but that isn’t stopping him from taking those younger than him to work. In Week 3, his 3-pointer gave the 3-Headed Monsters a 51-49 win over the Killer 3’s. The shot was incredibly clutch, considering that the first team to 50 points wins, but it has to win by two. Abdul-Rauf did that all in one shot. Mahmoud Abdul-Rauf, who turns 50 in March, still has ice in his veins. Fast-forward to Week 4. Nate Robinson of unbeaten Tri-State didn’t want his team to go down to one of the old heads in a league full of them. Robinson’s comments didn’t faze Abdul-Rauf, who dropped 14 points and dished out four assists in a 50-48 win. The 3-Headed Monsters are the only undefeated team in the league at 4-0.